Among some of the most fascinating things I've read recently in several historical books and became subject matter for several of my subsequent blogs on Hitler and the Third Reich's occult practices used during WW II was that Winston Churchill was actually a Druid and Great Britain employed the practices of magic and the occult to counter-attack what Hitler and the Nazis were doing in those same fields. 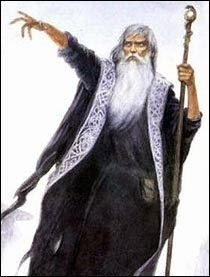 It is a relatively little know fact that one of Britain’s most celebrated, though far from uncontroversial, statesmen, Winston Churchill, was a Druid. Yes, you read that right! 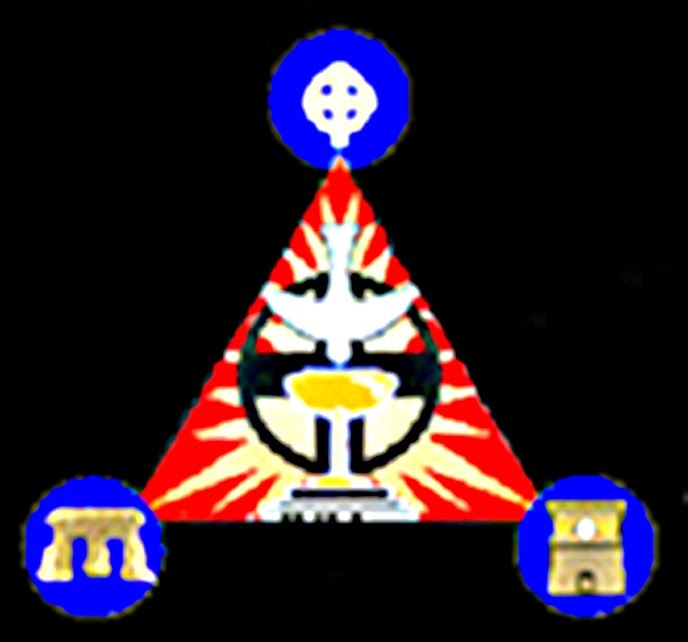 In the first decade of the twentieth century the still relatively obscure Churchill dabbled with a number of esoteric organizations most notably the Freemasons and his initiation into Druidic rites appears to have been an outgrowth of this. Although there are different accounts of exactly when and where Churchill became a Mason it seems that he was initiated into the Entered Apprentice degree in 1901 in Studholme Lodge (no. 1591) in London. 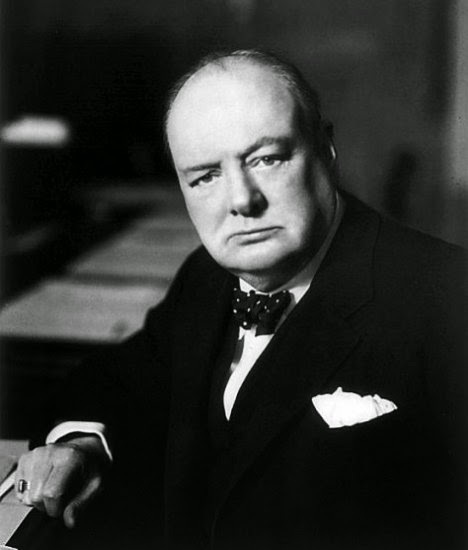 Churchill subsequently advanced through the Fellow Craft degree and was raised to a Master Mason in March 1902 in Rosemary Lodge (no. 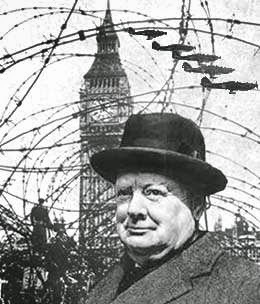 2851).Churchill remained a Mason until 1912. 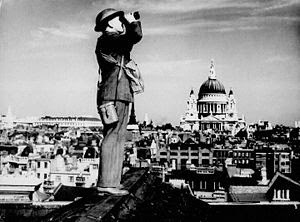 Alongside the aerial battle being fought overhead during the summer and autumn of 1940, there was another battle being fought simultaneously – a magical Battle of Britain. (We’re talking here about ‘magic’ in the occult sense, rather than ‘magic’ as conjuring or illusion). War and Magic have long been regular companions. 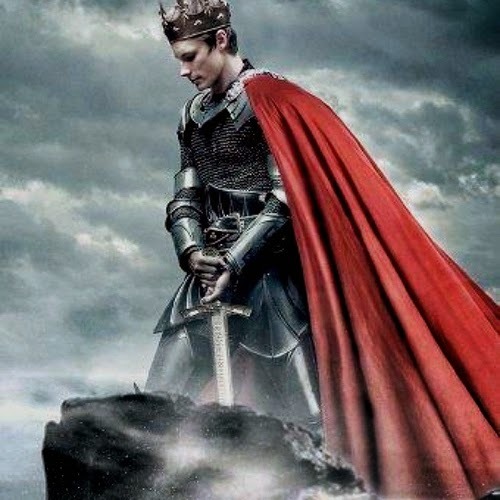 The legendary King Arthur won his victories with his faithful sorcerer Merlin at his side and his magical sword Excalibur in his hand. In a historical perspective it seems now that World War II was destined to be fought on many levels. Above and beyond the tried and tested methods of firing some kind of projectile at the enemy, it saw the use of disinformation and the manipulation of psychology reach new heights as a means of waging war. The astrologer Louis de Wohl (1903–1961) was employed by the British Intelligence services, whose staff also included Ian Fleming,(the author and creator of James Bond) to feed disinformation about astrological predictions regarding Hitler directly to the German high command; it has been argued that this is what led to Rudolph Hess’s bizarre flight to Britain in May 1941. Hitler's miscalculations of the "mild" winter in Russia which led to German troops unprepared for one of the most brutal winters in Russian history was directly related to Hitler listening to his "weather and occult scientist" Hanns Horbiger's prediction. 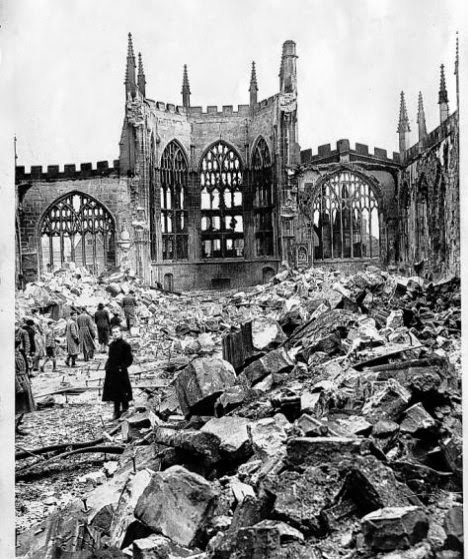 The ‘black arts’ of spin, propaganda and disinformation might be one kind of magic, but British occultists were also involved in helping the war effort through even less traditional means. And with Winston Churchill 's blessings. One figure more than any other has come to be associated with the Magical Battle of Britain: magician and writer Dion Fortune. 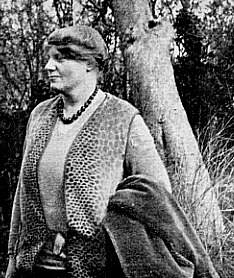 Born Violet Mary Firth in 1890 to a family of Christian Scientists in North Wales, she was subject to visionary experiences from childhood onward, believing herself to be a reincarnated Atlantean priestess and to have psychically channeled both Socrates and Merlin. 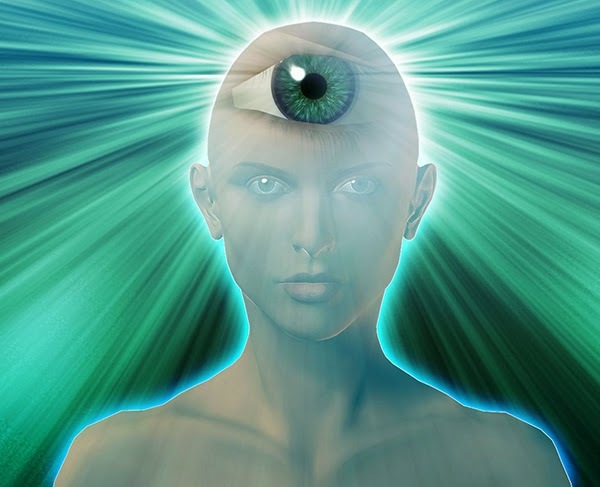 Psychic Self-Defense by Dion Fortune is considered the classic instruction manual for protecting yourself from paranormal attack by other humans. Dion Fortune was the name she adopted when she joined the Golden Dawn (a group of magical thinkers) and made 3 Queensborough Terrace, Bayswater, the group’s London ‘HQ’ (the order also owned a property in Glastonbury) and directed her magical war effort from here. Over a period of three years (October 1939–October 1942), she sent a series of weekly (and later, after the tide of the war had turned, monthly) letters to her followers, describing in great detail an escalating series of magical meditations to be performed every Sunday, based on Golden Dawn protection and visualization techniques and centered around the building up of a vortex of powerful psychic imagery from the ‘national spirit’-which Fortune believed resided in Glastonbury, personified by an Excalibur-wielding King Arthur, although encompassing far more. Focusing on the supposed hollow space beneath Glastonbury Tor, the group also visualized Jesus, the Rosicrucian cross, Merlin, the Holy Grail and the Archangel Michael, all united with Arthur in their stand to protect the nation. 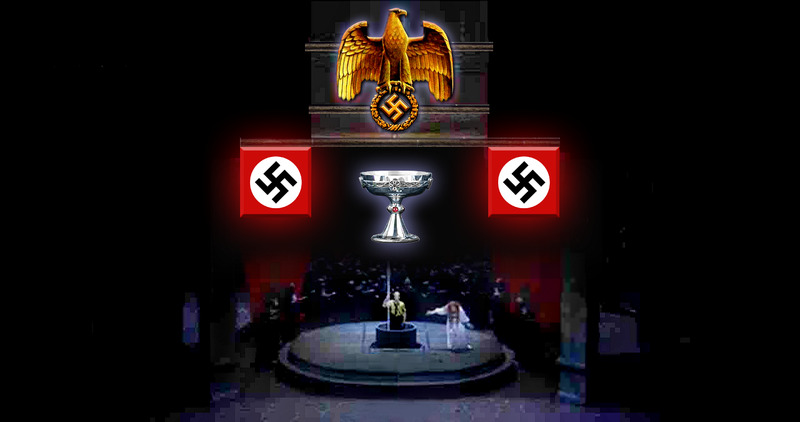 Soon, Fortune was leading magical ritual attacks and ‘astral plane’ battles, with the group visualizing themselves armed with swords and flaming torches pointing towards Germany, entering the headquarters and bedrooms of leading Nazis and performing magical attacks on them in attempts either to ‘curse’ Britain’s enemies or to change their behavior towards good rather than evil. Fortune believed that there were similarly magical forces – much darker ones – at work just across the Channel in occupied Europe. She wasn't sure to what extent Hitler had “an accurate knowledge of technical occultism and how far in military matters, he avails himself of the services of the experts”, but she was in no doubt that the Führer was, in any case, “himself a natural occultist and highly developed medium” (written in one of her a letters dated October 1941). The Battle of Britain was won, of course, by the immense courage, determination and skill of the British, Commonwealth and Allied pilots fighting in the summer skies of 1940; it was a victory hugely significant for the unfolding history of World War II and the 20th century. 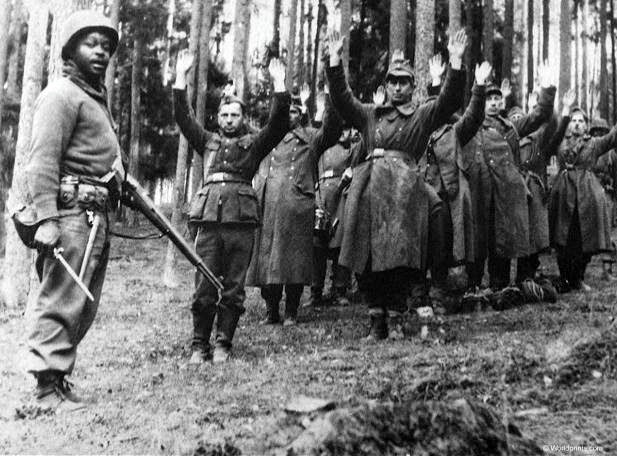 After the beating sustained on the Russian front, it was inconceivable that the German army could be refreshed and rebuilt enough to mount a seaborne invasion, and the entry of the USA into the war in December 1941 had tipped the balance in the Allies’ favor, permanently. 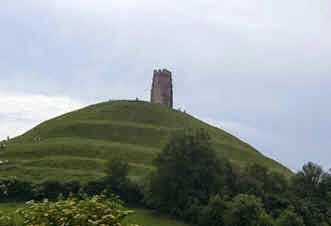 We know that Fortune’s campaign of meditations really did happen between 1939 and 1942, even if the Once and Future King did not arise from his slumbers under Glastonbury Tor and defeated the Nazi foe with Excalibur. Fortune died soon after the end of hostilities, with some followers believing the physical demands of the psychic efforts she expended in magical attacks on the Nazis drove her to an early grave. Having taught her methods to members of her group for around two decades, she succumbed to late-diagnosed leukemia not long after the war’s end – in 1946, just before her 56th birthday. She is buried in Glastonbury. Her magical order flourishes to this day as the Society of the Inner Light. Agreed! I have been thinking the same. The world is facing a crisis we have not faced for 50 years. It is a powerful thing to have a convergence of light warriors and I think the coming of the new year we will be in need of such a force. God bless us everyone!